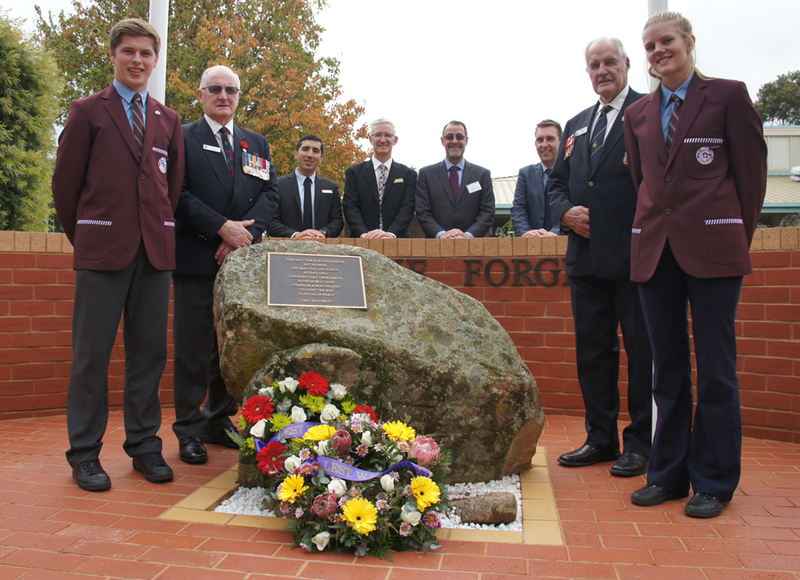 Galen Catholic College proudly opened a new ANZAC Memorial on Friday 24th April during their ANZAC assembly, joined by special guests Arthur Bretherton OAM and Kevin Howard OAM. Galen’s new memorial was erected with the assistance of a State Government Grant and a lengthy proposal process. 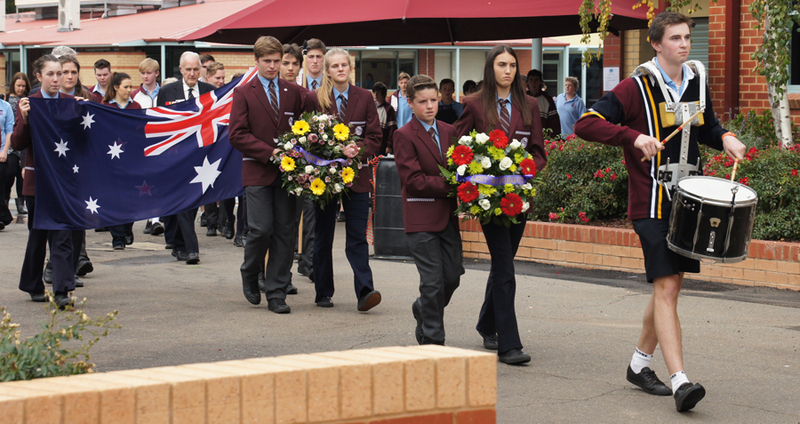 After official proceedings had concluded on Friday, both Mr Bretherton and Mr Howard both stated that Galen’s ANZAC Day ceremonies are among the best school-based assemblies they attend annually. 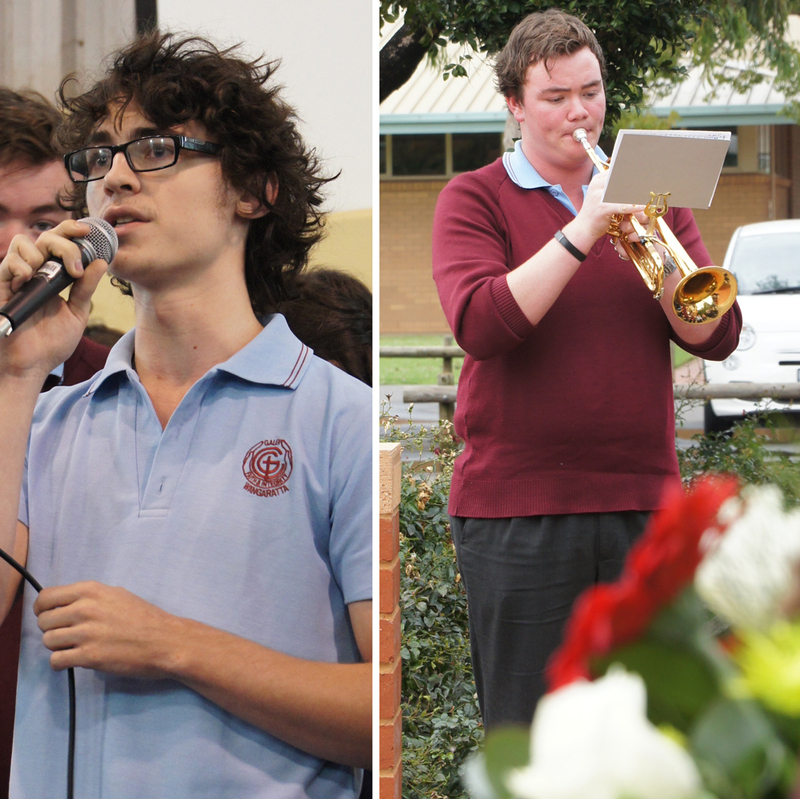 With a mixture of live performance pieces from Galen’s talented band members and vocalists, staff and students paused to reflect on the immense casualties upon the Gallipoli landing 100 years ago, and the men and women who have served our country thereafter. Both Mr Bretherton and Mr Howard were particularly impressed with the new memorial at Galen, to acknowledge those who have served our country, and as a reminder to a younger generation about how lucky we are to live freely in Australia. “It’s great to see the active involvement of young people who are keen to continue the spirit of the ANZAC,” said Mr Bretherton.